Ok. I killed it tonight. Seriously. I am amazed with myself even. 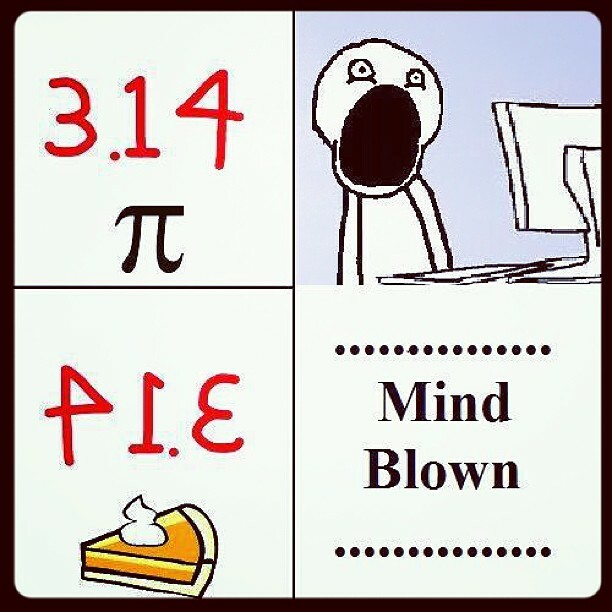 I saw on Facebook earlier today that today is Pi Day. So of course my mind started racing to think of a Paleo Pie to make. After searching for a while for something amazing, I just wasn’t finding anything that sounded good. Then I remembered the Paul Newman Pecan Pie recipe that I adapted a few years ago to get rid of corn syrup in Pecan Pie and I thought there must be something that I can do to substitue for the brown sugar as well… Dates? He!! yah! I kid you not. 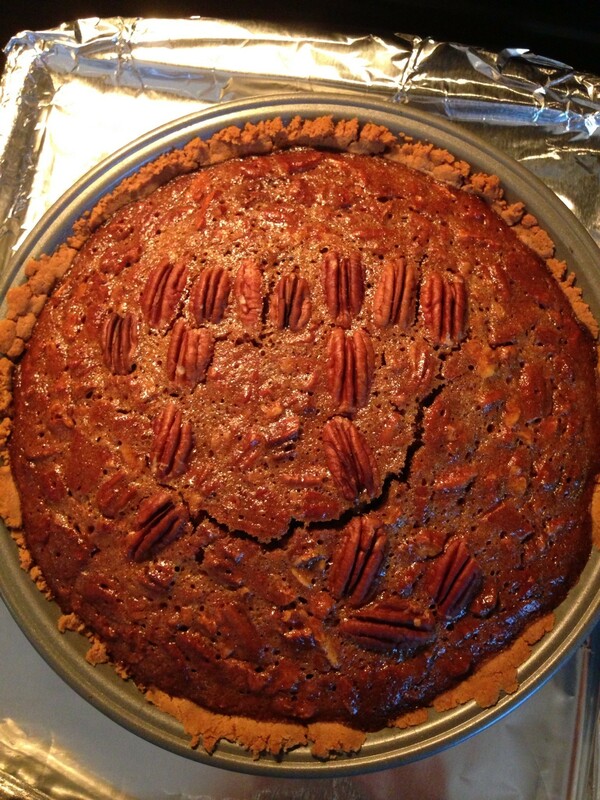 This was as good as any pecan pie I’ve ever made before. My BFF KK’s daughter had a piece and made all the appropriate noises. Because I love you and trust you, I am sharing the recipe with you. You’re welcome. combine all items except water in food processor, gradually add water until balls form. Press into pie plate. Bake at 350 for up to 10 minutes until slightly toasty brown. Set aside to cool and then freeze until filling is ready. Blend syrup, dates, and ghee/butter in medium saucepan with a stick blender over medium heat until smooth. Increase heat and boil 1 minute. Cool to lukewarm, about 45 minutes. Whisk eggs, vanilla and salt in medium bowl to blend. Gradually whisk maple syrup mixture into egg mixture. Stir in pecan halves. Pour filling into crust. Bake pie at 350 until filling is slightly puffed around edges and center is set, about 55 minutes. Cool pie completely on rack, or not… ENJOY! I was totally going to put bacon in it too, but I forgot. I will next time. Promise.